The power of fans has always been well…legion. With our purchases we can make or break a property, and studios make an effort to build up interest in the fandom community with presentations at Comic Cons and through viral marketing campaigns. So, of course, it was only a matter of time before fans took their enthusiasm beyond fan made films shared on YouTube and Tumblr, and into the studio system itself. And so Legion M has stepped up to fill that void – and honor the great man himself, Stan Lee, along the way. Legion M is a fan owned company that launched in March 2016 with the goal of giving fans a more hands on role in the entertainment industry. But this isn’t a company that’s running campaigns on Kickstarter or Indiegogo, where the contributor is part of a rewards-based system that might give them a DVD of the product, and immediately reduces the commercialization of that product (think the Veronica Mars movie and how most got a DVD of the film for contributing, which meant they then didn’t support the product on the back end by actually buying said DVD). 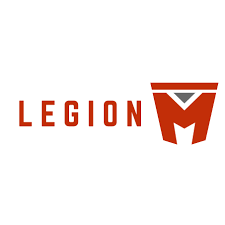 Legion M wants to bring fans into the experience, but make them actual investors in the company’s projects. Those projects vary in scope and type. From the company’s first feature length film, Colossal, starring Anne Hathaway and Jason Sudeikis, to a fan-hosted party celebrating Marvel Comics Legend, Stan Lee, Legion M is harnessing the power of fans and partnering it with smart creative decisions to please both their “business partners” as well as their audience. The Stan Lee Tribute is something Legion M truly believes in – a sentiment shared by the fans. To truly honor the creator and King of the Nerds himself, Legion M did something usually left to the TCL Chinese Theatre and the studio. But for the first time, a united unstoppable force of fans is making this well-deserved honor happen. Legion M will host studio execs, press, and fans as they celebrate Stan Lee, all standing on equal ground as the public can buy tickets to the event. Even those who aren’t local enough to attend can get in on the excitement. Yahoo will be carrying a live stream, as well as Legion M capturing footage to share late. There is also a tribute book which allows any fan – for free – to sign, which will be presented to Stan Lee after the ceremony. Legion M’s creative reach has extended into the star-studded side of things, as they’ve enlisted several celebrities to record video messages, as well as written notes with hand-drawn pictures. Not a celebrity? Fans can pay a small amount and have an entire page in the tribute book just for their own art or heartfelt message. A huge event like this must have an after party and Legion M is not going to disappoint. Their goal is the biggest after party any imprint ceremony has ever seen – and it starts with the location: the $30 million dollar, 8000 square foot Tony Stark-like mansion up in Hollywood Hills. Stan himself will be in attendance, along with celebrities, press, and top of the line sponsors such as Lakers and Audible, with Dave & Buster’s providing the food. All in all, Legion M’s business model allows them to share the tab for this worthwhile endeavor, while not costing their business partners money. The upcoming SDCC gives them many opportunities to highlight all the exciting possibilities of their Legion M goals and uniting fans. A huge panel at Comic-Con on Friday at 12:30 will feature Adam Savage and Felicia Day, joining Stan Lee on a panel to talk about his tribute, and the imprint ceremony. Legion M is a small team, but they are able to get a lot done. They’re co-hosting the Stargate party as well as the Buffy the Vampire Slayer fandom party, and one of their staff with be moderating the Stargate panel. Fandom will be well-represented via Legion M at SDCC. After SDCC, Legion M will continue to cultivate projects, with the help of feedback from investors via their lively and active Facebook page. Some people might shy away from so many voices, but Legion M appreciates being in contact with fans on a daily basis. “We have online forums; we organize discussion threads about what books people are reading, and what projects are they interested in, and what movies did they like that are out today?” says Scanlan. When they settle on projects – such as Colossal and The Field Guide to Evil – they immediately begin to back it not just with money but with the unique power of the company. Their community and investors, talking about and supporting the project. With Colossal, directed and written by Nacho Vigalando, meet-ups organically occurred when the film was released, where these community members could get together to see the movie and then discuss it afterward. This sort of ground swell support for a Legion M project is something they want to continue with The Field Guide to Evil, due out in 2018. This $500,000 horror film, with partners Tim League and Ant Timpson, is a global anthology of dark folklore from all different parts of the world. The Legion M team is excited about this creative concept and equally excited about the universality of the project. Big name projects aren’t the only thing in Legion M’s line of vision. They successfully created something called Pitch Elevator – part game, part contest, part opportunity – so anyone with a good idea for a movie or TV show could have a chance to pitch to the people with resources to make it happen. They built a life-size prop elevator outfitted with cameras and microphones, and give you two minutes to pitch in the elevator. After their first run of Pitch Elevator for two months last year, they ended up with 400 pitches. Then they allowed the Legion – the community of people that are co-owners – to help review. Points were awarded and the top scorers made the shortlist, who were allowed to pitch again, this time to industry experts. The final pitch has become a project that Legion M now has in development. It worked out so well that Legion M is in discussion with networks and digital distribution companies to potentially create a series out of it Pitch Elevator. Yet another way that Legion M is reaching out to fans and creators to give them an opportunity to be a part of the creative process. Another project near and dear to their hearts is the Icons series. It’s a virtual reality interview series of icons of our generation, in absolute highest-resolution virtual reality. There could be no other choice for their first episode – Stan Lee being interviewed by Kevin Smith. “Stan Lee is 95 years old. He’s like the Mark Twain of our generation. And we wanted an opportunity to sit down with him for this intimate conversation, where Kevin Smith interviews Stan in his home. We also brought in Joan, who recently passed as you know. We brought Joan into the interview as well, to hear her story about her love with Stan. It’s a really, really moving part of the interview, especially now,” remarks Scanlan. The technology used for the Icons series is at an incredible level; using nodal 8K cameras which have twice the resolution of an IMAX film, the idea was to capture the interview in virtual reality to make it both timeless and personal. The Legion suggested and voted on questions that Kevin would ask Stan, and they’re also engaged in choosing who is the next Icon in the series. The goal is to shoot 15 of these a year, if possible. And who are the frontrunners for Icons? Guillermo Del Toro, George Lucas, and Steven Spielberg are names that have been tossed around but Legion M also feels the pressure of these icons being mortal. As years pass and more are lost, they are very aware of preserving these great creatives for future generations. If you are attending SDCC, make sure to catch some of the Legion M events, and don’t miss the imprint ceremony and celebration of Stan Lee as he received a special honor, from his legion of fans.